Come and join Aslad & The Vans Society in Survive the Hunt, where the aim is to... well, survive the hunt! Saturday 6th April 19:00 UK time. 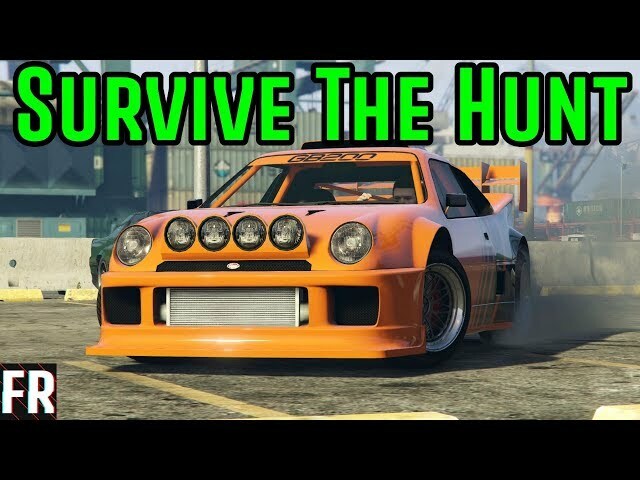 Essentially, Survive The Hunt is a freeroam game mode where one player is "hunted" by 8+ other players. There is no radar, HUD or name-tags in order to make this a bit more interesting. While there is no set tactic, the most popular and effective one is for the hunted player to "blend in" with the game AI - either on foot or in a car. This means obeying traffic laws, following the road at an AI-ish pace, stopping at traffic lights etc. The hunters can employ a similar tactic to attempt to locate and then ambush the hunted player. Communication is essential for the hunters to work effectively together. If you want to see this game mode in action, check out FailRace's YouTube series. Weapons may NOT be used whilst in a vehicle. They can only be used on foot. The idea behind this is that it makes chases a bit more interesting than just head-shotting someone the second they're spotted. They are allowed to briefly stop, but for no longer than a couple of minutes. This does not mean that they are not allowed to drive through road tunnels - they can, as long as they do not stay there for extended periods of time.